This month, our MP Henry Smith has nominated Crawley resident (and hardworking volunteer) Barbara Robinson to be his latest community hero. 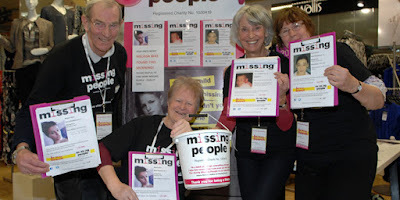 Sixty-nine year old Barbara, who is a retired teacher, has spent many years giving her time to help local organisations such as Crawley’s Citizens Advice Bureau, Missing People, Crawley Town FC and even being a foster mum for Canine Partners, making her one of Crawley’s most active volunteers. “In my working life as a teacher, I was always having to problem solve and be empathetic towards my students. When I retired I wanted to continue to use my brain, problem solve and be proactive and the roles I fulfil now enable me to do that,” Barbara explains. She now advises those in need of help and support at the town’s busy Citizens Advice Bureau, helps to find missing people and promote the charity (of the same name) across Surrey and Sussex, takes in and cares for dogs who are currently in training with Canine Partners to help those with disabilities, and most recently; played a pivotal role in creating the Crawley Town Disabled Supporters’ Association. It’s volunteering for the association that Barbara has especially shone and improved the match day experience for many Crawley Town fans, with sight problems, thanks to the introduction of audio description at the stadium. So, what does this community hero enjoy so much about volunteering? “I meet a variety of people in the various roles I do – I get a buzz out of being able to make a difference to someone,” she told us.